Telerik organized the first front-end development conference in Bulgaria – Front-End Day 2011. It was held in Sofia, in April 26-27. Our guests were Peter-Paul Koch (PPK) and few other Web, front-end and mobile Web development gurus. It was a nice event, focusing on the modern Web front-end technologies. 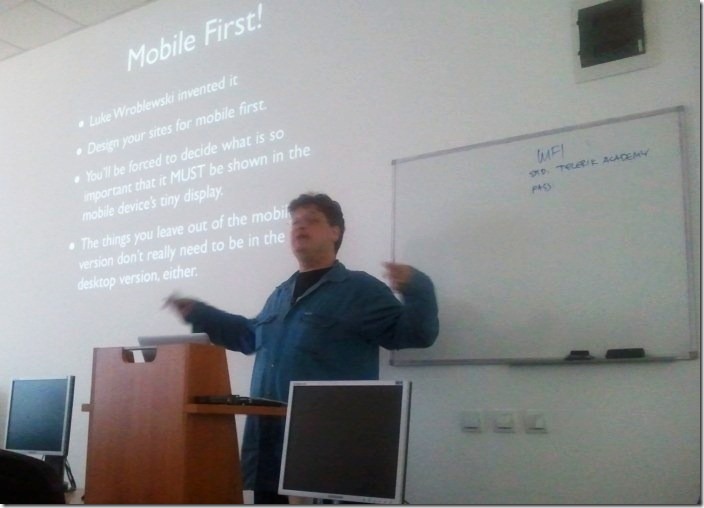 The second day was hosted in Telerik Academy where we had a free training on Web game development and mobile Web. Еее как съм го изтървал това! Ами то беше invite only event, организиран от Телерик. Не беше разгласен много широко в публичното пространство.